So tomorrow we’re doing a Top 5 Podcast of “Nerdy Things To Do Before You Die”. But it got me really thinking about what I would like to do in my life time. But my Top 5 turned into a Top 100… SO… I thought for this post I’d mark it down to the Top 10 and save the last 5 for the Podcast. So here we go! 10: Visit the grave of Jack Kirby. 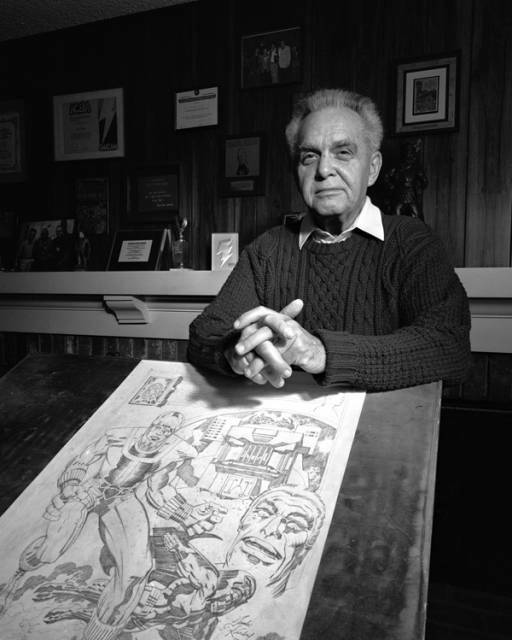 For those who don’t know who Jack Kirby is. He is a comic book artist, writer and editor regarded by historians and fans as one of the major creators in the comic book world. Jack and Stan Lee also co-created many of Marvel’s characters. 09: Visit the castles that inspired Frankenstein and Dracula. Always been a big fan of the classic monster movies, plus it’ll take me over seas. Always wanted to go to UK…. Mostly Scotland tho. 08: Go to OR start up if there isn’t one already, an underground sing-along screening of the Buffy Musical. Think Rocky Horror Picture Show, only with Buffy. 07: Attend GenCon or DragonCon! Always wanted to go, sadly never able to. So there is half of my Top 10! If you want to hear the other 5, you’ll have to listen to the Podcast Muahahaha!! It’ll be on Geek Fallout Hosted by Derek Ash & Edited by ME!